This Professional Aviation Pilot Practice course is delivered through a partnership between L3 CTS and Middlesex University and gives you the opportunity to gain academic credit and a qualification based on your technical and practical flying training and early career practice. Why study BSc Professional Aviation Pilot Practice (L3 Airline Academy)* with Middlesex University? L3 CTS is a world leading airline training and pilot resourcing company with headquarters in Crawley, near London Gatwick and training centres globally. Middlesex University is an international leader in the field of professional practice and university level work-based learning. The programme has been designed specifically to incorporate all of the Civil Aviation Authority (CAA) regulated training leading to the award of a frozen air transport pilots licence (ATPL (F)) and to provide a framework for recognising the learning achieved during the first stages of operational practice. The Honours level (Level 6) programme is tailored to meet the requirements of each employing airline so that on completion of the programme you will have a degree which is highly relevant to both your current and future employment. As a student of this course you'll receive a free electronic textbook for every module. The principle of work-based learning is to build courses around the working and training practices of particular industries, sectors or employers, so that the learning that occurs every day as part of your normal training and practice can be assessed and recognised in an academic framework without the need for unnecessary duplication. In this way, this degree programme makes it possible, for the first time in the UK, to gain a BSc Honours degree at the same time as completing 'ab initio' (i.e. from the beginning) pilot training. I believe that it is absolutely vital to easyJet's future that we have a pipeline of talented young pilots coming through which is why I am delighted we are now working in partnership with CTC Aviation and Middlesex University to offer a degree course for our pilots. What will you study on the BSc Professional Aviation Pilot Practice (L3 Airline Academy)? The CAA Theoretical Knowledge units of study which have also been embedded within four Level 4 University modules - Aircraft and Air Environment; The Science of Flight; Navigation; Flight Operations. The phases of Flying Training which take place in New Zealand or Bournemouth which have been embedded within three Level 5 University modules - Basic Flying 1; Basic Flying 2; Advanced Flying. On completion of the L3 CTS course and the issue of your frozen air transport pilots licence (ATPL (F)), you will take the Jet Orientation and Multi Crew Co-Operation module. This will complete the Level 5 programme and you will then proceed to employment with an airline and progress to Level 6 of your programme. How is the BSc Professional Aviation Pilot Practice (L3 Airline Academy) taught? The CAA, in accordance with EASA requirements, prescribes the curriculum for pilot training and the assessment of your technical and flying training is also regulated by the Authority. These requirements are fully integrated into your programme of study and are described in the module narratives in the programme handbook. The L3 Airline Academy Training Handbook explains in further detail how this part of the programme will be taught. The learning, teaching and assessment approaches used throughout your programme will encourage you to be actively involved in your learning and to co-operate with other students. Both L3 Airline Academy and Middlesex University aim to give you prompt and constructive feedback on your learning as well as opportunities to reflect upon and learn from that feedback. You will be actively involved in a range of learning, teaching and assessment approaches, particularly at Level 6 when you enter the employment phase of your degree programme. At level 4 and 5 all modules up to and including Advanced Flying are assessed in accordance with the CAA / EASA regulatory requirements. Please also note that these requirements have been fully integrated into the module learning outcomes and your achievement for the degree qualification will be wholly measures in relation to these outcomes. The results from CAA / EASA regulated assessments will provide evidence of the achievement of the respective module learning outcomes. These modules will be graded on a Pass/Fail basis and will not contribute to your final degree classification. The Jet Orientation and Multi Crew Cooperation module at Level 5 and all other work-based Level 6 modules are assessed in consideration of the achievement of the relevant module learning outcomes. The Jet Orientation and Multi Crew Cooperation module will be graded Pass/Fail; Level 6 modules will be graded on the University's 20-point scale and will count towards your Honours degree classification. Produce a CRC (Criminal Record Check) Basic Disclosure Certificate before training can commence. Candidates who are successfully shortlisted will be invited to attend a formal Assessment Day at one of L3 CTS' training centres. Entry to the programme is conditional on passing assessments at interview stage. You can apply directly via L3 Airline Academy. You can also apply through UCAS using the code X90N. How can the BSc Professional Aviation Pilot Practice (L3 Airline Academy) support your career? 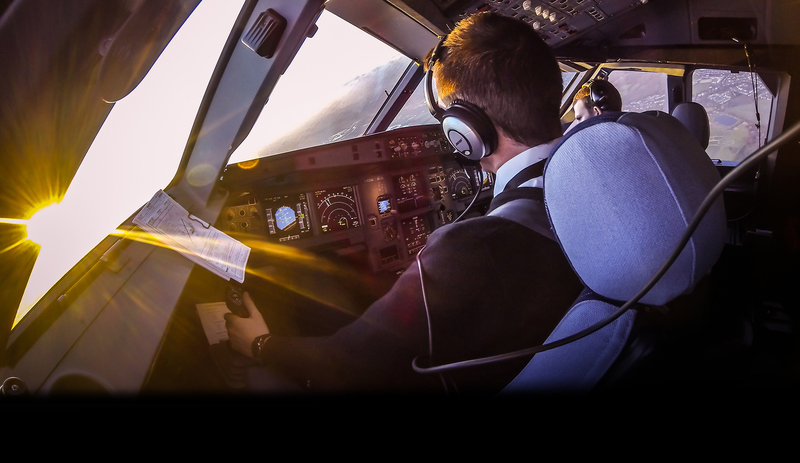 This programme allows you to study towards a degree while undertaking pilot training and uniquely, the final year of the programme is designed to be fully integrated with the initial stages of your career as a professional pilot. This will enhance your career progression opportunities through being a cadet to First Officer and thereafter to Captain. Airlines such as easyJet and Virgin Airlines have recognised that graduates of this degree will feel more confident and prepared to enter what is a very competitive sector.